The Sochi Olympic games have now come to an end and there are several conclusions I can draw from this. 1) I’m so proud of my fellow Canadians on team Canada. What discipline they possess. 2) I’m way too much of an emotional person. Be it the sports performances themselves, interviews with proud athletes or medal ceremonies – all of the above make me cry. I cannot, for the life of me, understand why. Hey, I’m not a lumberjack, or a fur trader…. I don’t live in an igloo or eat blubber, or own a dogsled…. although I’m certain they’re really really nice. And I pronounce it ‘about’, not ‘a boot’. and it is pronounced ‘zed’ not ‘zee’, ‘zed’ !!!! Also, watching the Winter Olympics is always a throwback to my figure skating days, when Tara Lipinski was my idol and I used to practice my choreographies anywhere and everywhere, like on the front lawn (yes, on the grass, and yes, didn’t you know, it’s perfectly normal to spend one’s afternoons double axel-ing on the front lawn) or in the living room (there goes the antique lamp). Those were the days when my parents were arena parents, gulping down a lotta coffee to stay awake and keep warm as they watched me spin through the air and fall onto my derriere during early Saturday morning practice. What grit all of us little figure skaters had, to get up early and practice 4 times a week. 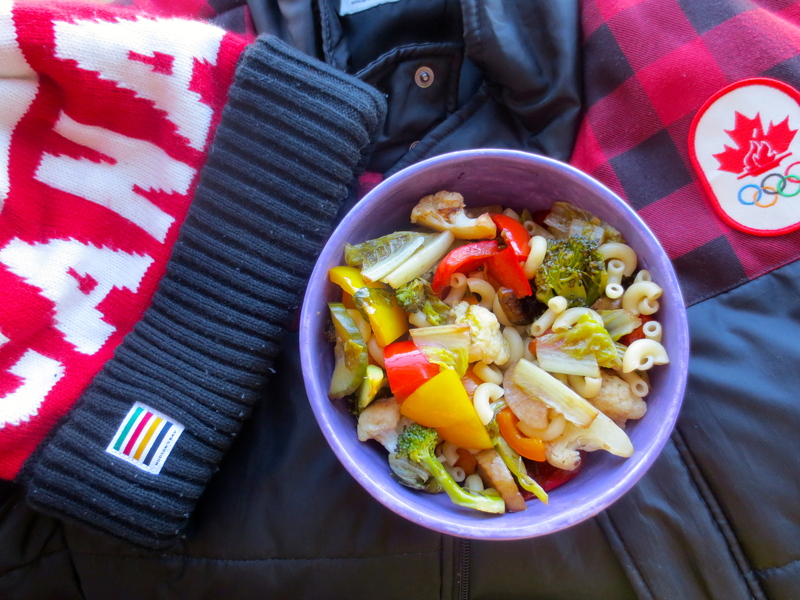 As pasta is often a staple for boosting athletic prowess, my pre-practice meals were often composed of pasta. 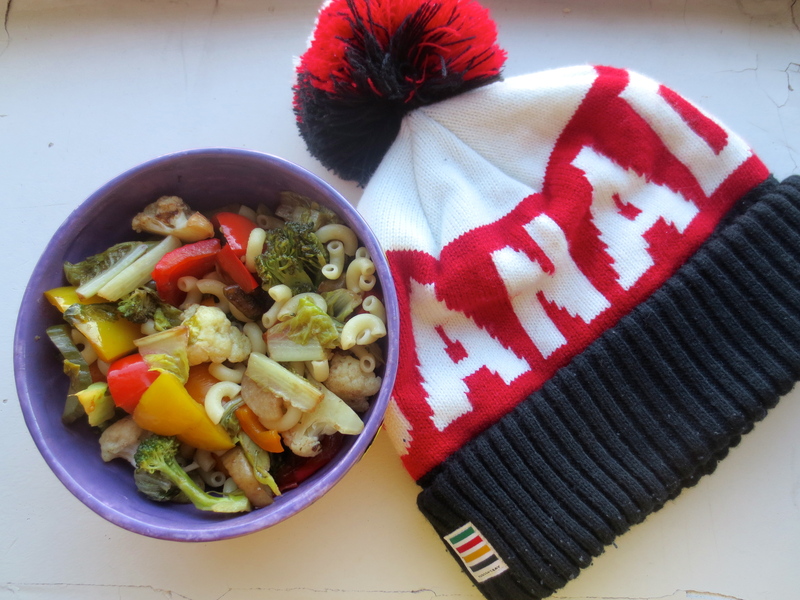 And on this pasta note, I`d like to share with you some tips on portion control for grain products (especially for non-athletes or people who, like myself, have hung up their proverbial skates/skis/luges hehe). Starches, or grain products (potato, potatoe) are often overconsumed in our society. In fact, the average man or woman should have 1-3 portions of grain products per meal (one portion being 1/2 cup of rice, pasta, couscous or quinoa). This means that an average person should be having 1/2 cup to 1 1/2 cups of pasta per meal. To help you visualize, 1 cup is about the size of a tennis ball. Therefore, the average person’s pasta serving should range in size from half a tennis ball to a tennis ball and half. I can hear your gasps and your “Have you lost your marbles? I eat 3 tennis balls worth of pasta” from here. For a pasta dish to be balanced, limit the total pasta and add protein (ex. 120 grams of firm tofu or 1 cup of lentils) and tons of veggies. This will make your stomach happy, ensure your meal is balanced, prevent an afternoon or post-dinner sugar crash with the added advantage of being more visually appetizing. 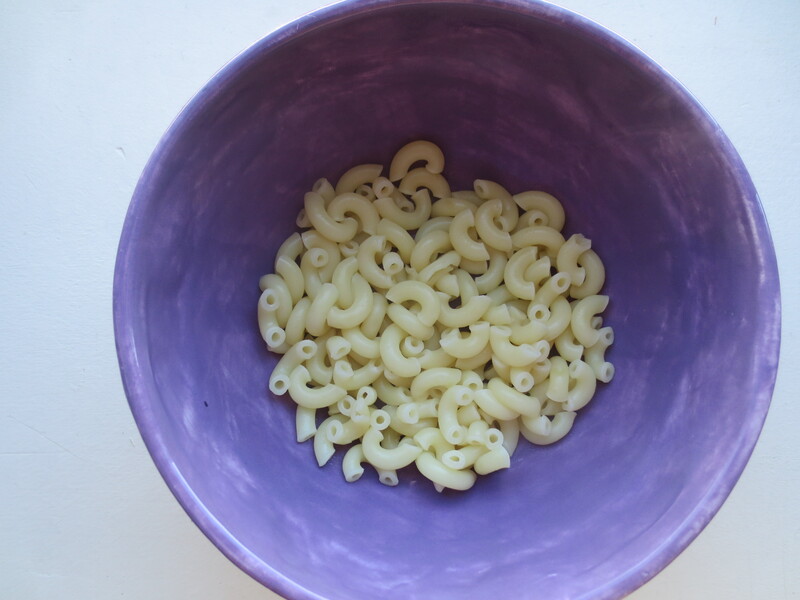 Post-post-script: Both bowls contain the same amount of pasta. Next Post Happy Heart Health Month!